State education funding has finally inched above pre-recession levels — but still, more school districts are relying on extra help from local taxpayers. This year, 94 of Idaho’s 115 school districts will collect supplemental property tax levies totaling more than $186.6 million. The number of districts with levies is up from 2014-15, as is the statewide supplemental levy bill. 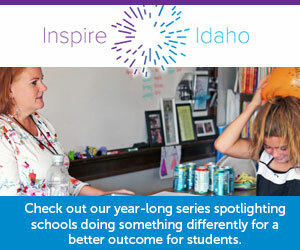 The supplemental levy has become a focal point in Idaho’s ongoing education debate — a discussion that will resume next week, when the 2016 legislative session convenes. As lawmakers decide how many state tax dollars to put into a K-12 system that ranks at or near the bottom of national budget rankings, the school funding debate continues to unfold at the local level, district by district and levy by levy. Before the global recession, voter-approved levies were considerably less common; in 2006-07, 59 districts collected $79.1 million in property taxes from patrons. But as the state imposed unprecedented K-12 budget cuts during the recession, districts sought, and received, increased levies from local voters. In many cases, administrators argued that the money was needed not for supplemental programs, but to cover day-to-day essentials. An all-day kindergarten class in the Coeur d’Alene School District. At $15 million, Coeur d’Alene is collecting the largest voter-approved supplemental property tax levy in Idaho for 2015-16. And districts are no less reliant on supplemental levies this year, according to new figures compiled by the State Department of Education. The roster of 94 districts with supplemental levies includes two newcomers: the Marsing district in Owyhee County, and the Sugar-Salem district in Eastern Idaho’s Madison County. Kamiah’s levy fell off the tax rolls for 2015-16, after voters in the north-central Idaho district rejected a pair of proposals to extend the levy for another year. The $186.6 million supplemental tax bill also reflects a $5.9 million increase from 2014-15. Idaho’s supplemental levy bill has grown even as state K-12 funding has increased. The 2015 Legislature approved a $1.48 billion K-12 budget for 2015-16, a $101 million increase. With this year’s budget, legislators finally exceeded the K-12 spending plan approved in 2008, at the onset of the Great Recession. But despite this year’s spending increase, schools face continued funding challenges. For one thing, Idaho’s K-12 enrollment has grown by 20,000 students since 2008. For another thing, school districts are still hampered by cuts in state discretionary funding. Also known as operational spending, the discretionary dollars are as versatile a revenue source as a supplemental levy. Districts can use discretionary spending to finance a variety of school needs, from teacher salaries and benefits to utility costs and school supplies. The 2015-16 state budget boosted discretionary funding to $23,868 per classroom, still below the pre-recession level of $25,696 per classroom. State superintendent Sherri Ybarra’s 2016-17 budget proposes restoring the discretionary spending to $25,696 per classroom. Gov. Butch Otter has not said whether he supports this proposal — but the governor will release his budget proposal on Jan. 11, when he opens the 2016 legislative session with his State of the State address. More reading: Click here to download district-by-district supplemental levy histories, from 1992 to the present. Coming Thursday: As the 2016 legislative session convenes, Idaho Education News will preview this year’s school budget debate.